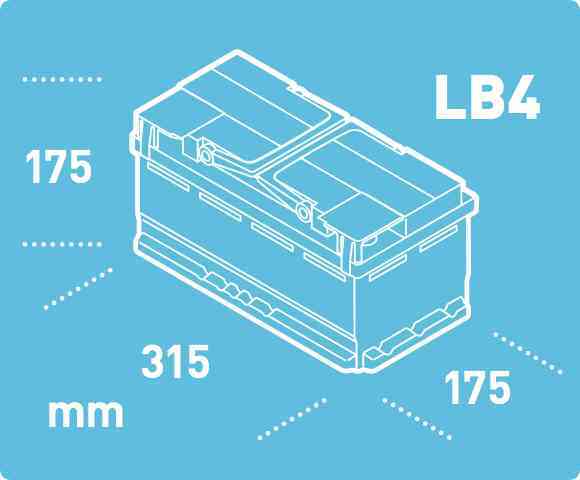 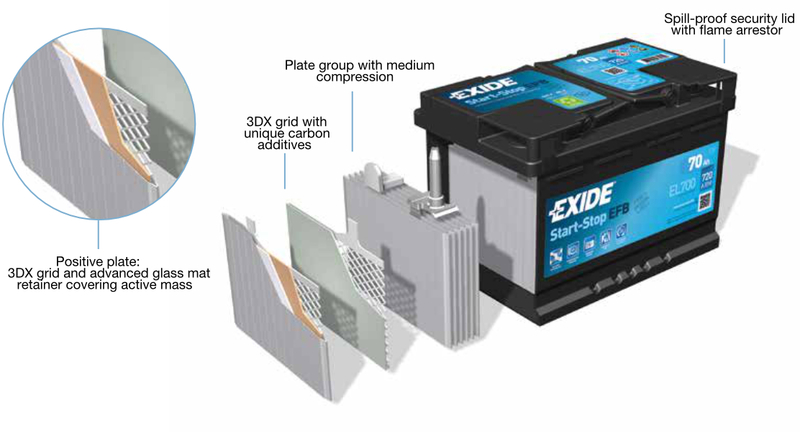 Exide invented the first EFB battery in 2008, helping European car manufacturers to reduce fuel consumption and emissions for small to mid-sized cars. 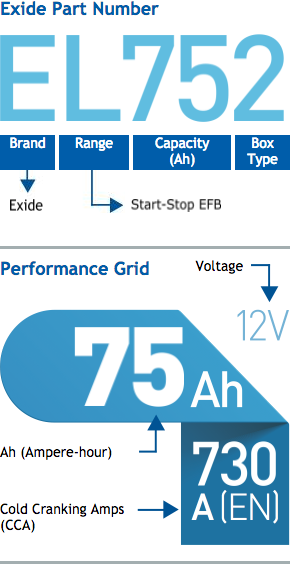 Their technology is now considered the most advanced in the industry. 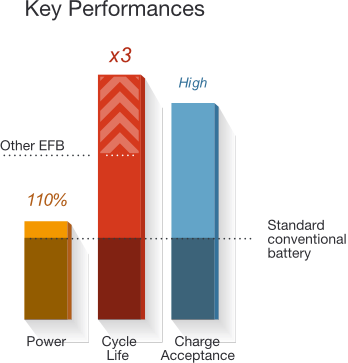 The latest-generation EFB battery offers significantly improved charge acceptance and cycle life, a result of key breakthroughs in lead alloys and unique carbon additives that came from Exide's R&D efforts. 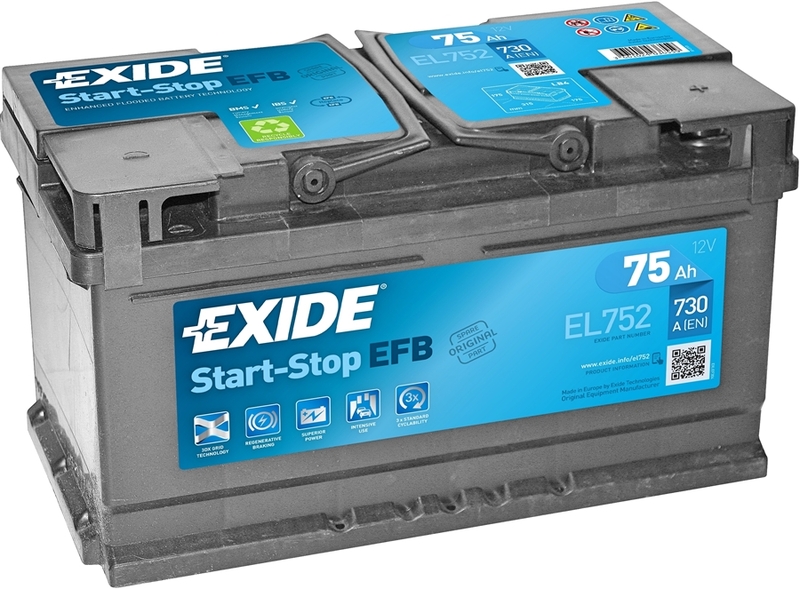 Exide’s Start-Stop EFB batteries enable Start-Stop, regenerative braking and other powerful fuel-saving features.